A private detective is asked by an old friend for help in getting out of a serious difficulty connected with gambling and valuable postage stamps. It was a typical mid–November morning, dank and gloomy, a perfect match for my mood. At just after ten o’clock, I’d been in the office for about an hour. Not that it mattered when I came and went, since on most days hardly anything happened between those two activities. I was just starting my third year as a private investigator and things were going from bad to worse. Private clients were few and far between and what they wanted me to do was usually humdrum stuff, though there had been occasional flickers of excitement. I’d been kept going by doing casual stand–in work for a security company when members of its regularstaff were on holiday or sick. My funds were reducing at a disturbing rate, since I’d dipped into them too often after leaving the army, where I’d served for a while as a military policeman. I’d somehow got the idea that the experience I gained there would help me as a civilian detective. It hadn’t, and the wolf was not far from my door. With no work on hand, I was thinking for the umpteenth time of tryingsomething more conventional. Trouble was, I hadn’t much in the way of qualifications. Anyway, there I was, twiddling my thumbs, when the phone rang. That wasn’t a common occurrence. Maybe somebody wanted me. I was so overcome that I let the ringing go on for about five seconds before grabbing the receiver. “Wilkin Investigations,” I said, trying to sound brisk. Of course I could, but I didn’t want to admit that too readily. “It’s a bit hectic here,” I replied, “but you know I always have time for you, Dave. It sounds urgent, so you’d better come right away and we’ll be able to manage a chat before my next appointment.” He thanked me, promised to be with me in ten minutes and rang off. I dug out three old files and spread them across my desk. That helped to give the impression of industry, and covered a few blemishes on the surface. Dave Waddington was a friend of about a dozen years standing. At thirty–four, he was my senior in age by two years. We’d met as members of a chess club and kept in touch, though we hadn’t spent any time together for several months. I’d never allowed myself to forget that Dave had once done me a big favour. Following a row with my parents – I still didn’t have any communication with them – I’d wound up in urgent need of accommodation and Dave had put me up for a while. I reckoned I owed him one, and it seemed he might be about to collect. My office was a single dingy room on the top floor of an old three–storeywalk–up building on Great George Street, close to the Leeds town hall. It wasn’t much of a place but that was okay because I didn’t have much of a business. Immediately below me was a dental technician and the ground floor was occupied by a health food store. An accountant worked in the office on one side of mine and the other side was temporarily vacant, pending the arrival of a theatrical agent. Dave lived in Headingley, about three miles from the city centre. He was in the art business and ran a small shop – it would have been pretentious to call it a gallery – quite close to his flat. As far as I knew, he’d never had any trouble making a living, so presumably something else was bothering him. “You’d better spill the beans before you collapse,” I replied. I told him to go ahead and he poured out his tale of woe. He’d got into the company of a local businessman who gambled regularly but moderately at Ronnie Bascombe’s home. This fellow had initiated Dave. The activity was very hush–hush, limited to people who got into it by word of mouth and, as far as Dave knew – he hadn’t carried out any checks – illegal. I was amazed to hear that Bascombe had allowed Dave to get himself into debt to the amount of just over ten thousand pounds. When I asked how that had happened, the extent of Dave’s addiction became clear. He admitted that he’d found a way of doctoring a building society statement so that it showed a balance of forty–odd thousand. He’d shown it to Bascombe, who’d allowed him to run up the five–figure loss before taking him to task. Dave had nothing like the amount he needed to get out of the hole he’d dug. He said Bascombe had initially given him a week to put things right. Three days before the ultimatum expired, a door had opened for Dave in the oddest way. He’d had a phone call from an elderly woman to whose husband he’d sold two paintings four years earlier. When delivering the goods to the palatial house about a mile from his place, he’d got into conversation with the old fellow and given him some advice about disposing of some other works of art the couple owned and no longer wanted. The wife hadn’t taken part in the discussion. One result of the brief contact was that the old boy sold several items, from which he raked in far more money than he’d expected to make before accepting Dave’s guidance. When the woman phoned Dave, she explained that her husband had died and that she had neither relatives nor friends. At eighty–six, she had outlived everyone who’d ever meant anything to her. It seemed she thought of Dave as the only person she felt she could trust to give her a few pointers in the matter of selling various objects, as she was about to go into a care home because of her poor health in general and her failing eyesight in particular. With no aim in mind other being helpful, Dave had called on the woman and made some recommendations as to what she might do with her exquisite furniture and a number of small collector’s pieces she still had. He declined her offer of a fee for his help and was about to leave when she amazed him by asking him to open the safe in her late husband’s study and check whether it contained anything of significance. She gave him a key. The woman had difficulty walking and when they got to the den, she sat at the desk, staring at a watercolour on the wall and showing no interest in what Dave was doing. When he opened the safe, he first found three insurance policies and a wad of twenty–pound notes, totalling two thousand pounds. As the old girl had trouble reading, Dave gave her the gist of the policies. He also handed her the money, having overcome the temptation to pocket it. The bottom part of the safe was taken up by a drawer, and there Dave found a volume bound in black leather. It was a stamp album, and from the careful way the contents had been mounted, he suspected that he waslooking at something of considerable value. This time the lure proved too strong for him. As the old lass hadn’t mentioned the stamps, he assumed that she either didn’t know anything about them, or had forgotten their existence. Beside the safe was a bookshelf and, thinking quickly, Dave put the album beside a dictionary, pending a decision on his next step. When the pair went back to the hall, Dave picked up his briefcase then said that he’d left his car keys in the study. He darted back there, grabbed the album, stuffed it into the case and left the house, with the woman’s profuse thanks ringing in his ears. Within two hours, he’d visited a top philatelist in the city. The following day he paid an assessment fee and was told that though experts might have minor disagreements about the classification of some of the stamps, the whole lot was certainly worth somewhere between twenty–five and thirty thousand pounds. “Yes. I heard Davis was responsible for that. Anyway, they were about to give me a good going over but evidently had been instructed to see first whether I had any valuables, so they poked around a bit, then forced me to open my safe. The only thing of any importance in it was that stamp album. They used my phone to call Bascombe and ask for instructions. He told them to leave me in one piece for the time being and take the stamps to him, so he could have them appraised as possible collateral. “It’s a good few miles out of town and not easy to find. If you have a piece of paper, I’ll make a sketch for you.” I gave him a sheet from my notebook and he drew the route, then we parted company. With nothing else to do, I spent most of the day pondering on Dave’s situation. If I really did owe him a good turn, which wasn’t clear, he’d asked for payment, big time. No matter how I looked at his problem, I couldn’t see a solution. Finally I gave up and decided to phone Bascombe, arrange to see him and play it by ear, though I had no confidence that my intervention would do any good. Bascombe answered the phone himself and after I told him who I was and what I had in mind, he said he’d give me five minutes at ten o’clock that evening. He was completely non–committal and gave no indication of the kind of reception I would get. I had a late evening meal then followed Dave’s drawing. Bascombe’s place was well off the ring road, northeast of Leeds, and it was quite a pad. There must have been at least four acres of grounds, surrounded by a tall, dense hedge of leylandii. Halfway along the frontage were two six–foot–high brick posts, anchoring a pair of gates of black wrought iron which were wide open. When closed they would have arched from the tops of the posts to meet at a height of eight feet or so. The drive – red gravel of course – was ten feet wide and ran for about sixty yards. The house was a two–storey neo–Georgian job of red brick. I guessed the facade as well over forty feet wide and close to twenty feet high at the eaves. Upstairs there were five rectangular windows in portrait form, and at ground level four similar ones, two at each side of the king–sized front door, which looked like solid oak and was shaded by a portico featuring four fluted concrete columns under a classical shallow–pitched triangular roof of red tile. A discreet sign to my left indicated parking at the rear, so I drove around there, noting that the original building was nearly as deep as it was wide, and that there was a big single–storey extension. By my rough reckoning, that made the house something like four thousand square feet in area. There were six upmarket parked facing a low sandstone wall about thirty yards from the property, and one big limo standing alone outside a three–car garage. I had the temerity to slot my old heap next to a swish Italian sportster,then I returned to the front and stood, I must confess somewhat irresolutely, on the porch flagstones. I pulled myself together and pressed the bell push. It must have been at least a minute before the door was opened by a tall, gaunt woman of about fifty. I introduced myself and she said I was expected, motioned me in and asked me to follow her. We walked along the wide hall, passed to the right of a central staircase and reached a beautiful mahogany door. My guide opened it, waved me to go ahead and marched off. Never having met a man with Ronnie Bascombe’s reputation, I had much the same feeling that Daniel must have had when he was about to enter the lions’ den. However, I was sustained to some extent by the thought that, formidable though he supposedly was, my man might back off a bit, knowing that Dave Waddington was supported by a real live private eye. How wrong can one be? I stepped into the room. It was about fifteen by twelve feet and windowless. I was near an end of one of the longer walls. At the other end of the room, much of the shorter wall was taken up by a massive desk – more mahogany, I thought. Behind it, a man sat in a huge studded red leather chair. He had to be Bascombe. Directly opposite me was another door, beside which stood a fellow who immediately gave me the creeps. At about five–nine, he was an inch or so shorter than me. I’m of about average build and no feather duster but this chap was constructed like a tank and must have outweighed me by close to fifty pounds. He looked like solid bone and muscle and was straining the seams in the jacket of his black suit. His straight black hair was shiny and slicked back over a head that made me think of a soccer ball. This was undoubtedly Bascombe’s bonecrusher, Bentley. Even just standing there, he exuded menace. The man behind the desk motioned me to approach him. “I’m Bascombe,” he said. “Take a seat and tell me what’s on your mind.” His voice was low and neither friendly nor hostile. He pointed at the three visitors’ chairs and I took the middle one. I can’t fully describe the man because he never stood in my presence. The most I can say is that he seemed to be of about the same build as me and his hair was, like mine, mid–brown, well trimmed and unparted. His most striking facial feature was a pair of penetrating light–blue eyes. He was immaculately dressed in a dark–blue pinstripe suit, a white shirt and a plain wine–red tie. It was obviously unnecessary for me to identify myself or state the business I was in but I did so, just for the sake of saying something to get going, then I launched into my tale. I concluded it by asking Bascombe to give me the stamp album, whereupon I would take responsibility for seeing that Dave Waddington would dispose of it and use some of the proceeds to settle his debt. Bascombe gave a short, mirthless laugh. “Dear me, that sounds like fighting talk,” he said. “Well, you’ll have to excuse me now. I have another engagement.” He looked at his henchman. “See the gentleman out, Alfred.” He hooked a thumb over his shoulder. Bentley grinned. “The wood?” he asked. Bascombe replied with a tinynod. Somehow, I didn’t like that exchange. Beckoning me to join him, Bentley opened the door by his side. We went out, passed through a smaller room that was in darkness, and exited the house by a side door which Bentley locked. He waved me ahead of him but we’d walked no more than four or five steps when he came abreast of me – and that was when the fun and games began. He lunged sideways, shoulder–charging me at the house wall. I’ve never been caught between colliding trains, but I imagine the sensation would be much the same as the one I experienced then. That one simple move left me breathless and feeling as though I’d been hit by a wrecking ball. I had no time to pull my self together. Bentley seized the back of my neck with a hand like a G–clamp and propelled me to the limo I’d seen close by the house. My goodness, he was strong. He opened the front passenger door, shoved me forwards and kicked the back of my right knee with a hard shoe. That caused me to fold up somewhat and Bentley pushed me into the car. He ambled around to the driver’s side, got in and drove us off, with an admonition to me not to try anything stupid – as if I needed a warning. I was terrified. We left the property, motored further along the road by which I’d reached it and over the next few minutes took three or four turns, all the time keeping to narrow lanes. I was completely disorientated when Bentley swung the car into a dirt track, drove along for a hundred yards or so and stopped. The spot seemed to be pretty isolated. To our right was a meadow, to the left a stand of mature conifer trees. On both sides of the track there were fences, comprising three–foot–high wooden palings fixed to long horizontal slats. We’d stopped at a gate on my side. Bentley strolled around the car and told me to get out. I did and he opened the gate and told me to get in among the trees. So that was what he’d meant when he asked his boss whether ‘the wood’ was our destination. As I was going through the gateway, I noticed that a section of the fence had been replaced with new uprights. I assumed that a vehicle had demolished the originals. We were approaching a footpath through the trees. “Go along there,” grunted Bentley. “And don’t try to rush off. You can’t get out that way.” Like a man entranced, I began to move forwards. Behind me, the hulk chuckled. “I’ll enjoy the next five minutes. You won’t.” So, he was going to give me a thrashing, or worse, just as an indicator of what it meant to cross Ronnie Bascombe. I’d never thought of myself as feeble, but I had no illusions about what would happen to me at the hands of this professional thug. I considered turning swiftly and belting him in the solar plexus, but quickly discarded the idea. I’d probably have broken my wrist on that abdominal brickwork and Alfred the Terrible would have just sniggered and kept coming at me. There was no chance of a little game of hide and seek among the trees because they were too close together to allow enough movement. Suddenly, a glimmer of hope pierced my desperation. About fifteen yards ahead of me was a pile of fence palings, presumably the old ones that had been knocked down. The instant my eyes fell upon them I went into action, bolting away from Bentley. Reaching the stakes in a few great bounds, I grabbed one from the heap. It didn’t seem like much of a weapon against the human bulldozer who was almost on my heels, but it was better than nothing. Not having time to work out a plan, I took the damaged end of that length of wood in both hands and simply whirled around, guessing where my fearsome companion’s head might be. My move worked far better than I’d dared to hope. Probably Bentley expected me to turn to my right but as it happens I’m a southpaw, so I swung the other way, like a left–handed batsman about to pull a ball to the leg side, or if you’re American, maybe similar to Babe Ruth preparing to swat one out of the park. The business end of my paling didn’t travel more than six feet, but even in the time it took to do so, the thought flashed through my mind that if I made contact with Bentley’s thick skull, I would hear a noise like wood on wood. Well, I hit the target all right, but the sound was quite different, softer and squashier. The effect was astonishing. My would–be assailantgave a loud gasp, clapped a hand to his right temple and dropped to his knees. A moment later, his left hand joined the right and he folded forwards, head nearly touching the ground. He started moaning. As I looked down at the fallen brute, I was nonplussed. That piece of wood didn’t seem anything like heavy enough to have caused so much damage. Then, as I began to draw it back for a possible second strike, I saw what had happened. Sticking out from the end that had hit my playmate were the shanks of three nails, forming a triangle. They must have gone deep into the side of Bentley’s head and the timber hadn’t connected with him at all. That was why I hadn’t heard the hollow noise I’d expected. I was still thinking about getting to work in earnest and giving my man a really good whacking, when he began to whimper in a way that suggested even greater distress than he’d been in seconds earlier. Then my mind went into overdrive. I didn’t see any point in spending further time with His Bulkiness when there was something more important do. I needed to strike while the iron was hot. For a couple of seconds I considered digging into Bentley’s pockets for his keys, then I recalled that he hadn’t taken them out of the car. I ran back and there they were, one in the ignition and four more dangling from a ring. One of them had to be for the door Bentley had locked when we left Bascombe’s house. I got going. It took me a few minutes to find my way back to the ring road, then I drove to Bascombe’s place, pulled in by the side door and tried the keys, succeeding with the third one. The window showed me that the small room adjacent to the master’s lair was still in darkness, so I slipped quietly into it. My mind had been racing and I was clear about my objective. If Bascombe was still where I’d left him, and alone, I reckoned I could probably handle him. I crossed to the inner door, opened it a crack and saw that the room beyond it still had lights on but was apparently unoccupied. I could hardly believe that Bascombe had left the stamps in his desk, but I trotted over there and pulled open the drawer where he’d deposited them earlier. Wonder of wonders, there was that lovely album. I didn’t see any need to dally, so I grabbed the thing and got out of the house at top speed. My car was still where I’d left it on arrival, so I ran over to it, flung myself aboard and shot off along that expensive gravel at quite a lick. Half an hour after leaving Bascombe’s place I was at my parking spot in Clarendon Road, almost within sight of the office. It was nearly eleven o’clock. An idea had entered my mind a few minutes after I’d collared the stamps, and had developed as I drove back to town. I wasn’t too proud of the brainwave but it wouldn’t go away. Too wound up to go back to my lodgings, I did some hard thinking. Reviewing my social position, I concluded that I was running a business that was just about moribund. My savings had fallen below the four–figure mark. I owned a jalopy, held together by adhesive tape, string and the occasional prayer, and I had no prospect of getting better wheels. My home was a single cheerless rented room two miles from the office, and there again, I had no chance of improving the position. I had very few social contacts and none of them meant much to me. Yet there I was, with negotiable goods worth at least twenty–five thousand pounds. At about five minutes after the stroke of midnight, I made a decision that was to change my life in a big way. I drove back to my lodgings and tried to get a little sleep. No chance. My landlady served the usual full English breakfast at seven o’clock. I wolfed it down, packed a holdall with the things I needed most. I would have to leave quite a few bits and pieces. The old girl was accustomed to my being absent for a day or two at times, so she didn’t raise an eyebrow when I told her I was on a case and on this occasion might be away for nearly a week. I must have sounded flustered because the reply began with a chuckle. “Well, well, Mr Wilkin, you seem to be rather out of sorts. What could it be, I wonder?” The voice belonged to Ronnie Bascombe. “In a moment I’m going to give him a signal on his phone and he’ll drop in on you. He’s very good at what he does and you’ll find him mostpersuasive. When he’s finished with you he’ll have those stamps, and your state of health will depend on your level of resistance. It it’s too high, only one of you will come out of your office alive – and it won’t be you. Now you’ve taken up quite enough of my time. Goodbye, peeper.” He hung up without waiting for any more verbal gems from me. Another trot to the window showed me that Ratface was looking at his phone. It must have beeped because he shoved it into a pocket, took a quick glance up my way then entered the building. This was looking serious. For maybe five seconds I considered whether I should stay put and confront the invader, then I thought of a better course. At the back of the office next to mine there was a fire escape. I grabbed the bag containing the stamp album and the oddments I’d just picked up, dashed along the hall and burst into the accountant’s place. He looked up from a paper–strewn desk and seemed to be on the verge of greeting me, but I didn’t have time to explain anything. I simply blurted out that I was trying to avoid someone and asked if he’d mind my doing that via his rear window and the ladder. I must say my neighbour was both quick on the uptake and very accommodating. “Be my guest,” he said. I wiggled past him, hauled up the lower sash, scrambled out onto those blessed iron rungs and got down to the ground at top speed. Half a minute later I was at the front corner of the block, peeking along the street to make sure that Ratface was still indoors. The coast was clear, so I scuttled off to my car. My savings were with a building society which had a branch in Headingley, so I drove there and closed my account, taking cash. Then I went back into town to the bank where I had small balance and cleared that out the same way. Next, I called at a travel agency and used quite a lot of the money I’d amassed to book a flight, departing from the local airport that afternoon, with a connection to a city far, far away. Finally, I returned to my parking spot in Clarendon Road, locked the car and walked off to find a taxi. I didn’t care about the loose ends I was leaving behind. The episode I’ve narrated above took place nearly four years ago. When I left Britain, I wasn’t sure where I would wind up, but as it happened I’d picked the right destination. I settled in surprisingly quickly and am still less than ten miles from where I touched down. I found an acceptable place to stay, did a little research into the project I had in mind, then visited a local bank, where I explained that I intended to set myself up in business and was hoping to take out a loan. I was introduced to the manager. He went into some detail with me, and on hearing that I had collateral in the form of the stamp album, he said that he had wide scope for initiative in such cases. He offered to have the collection appraised. 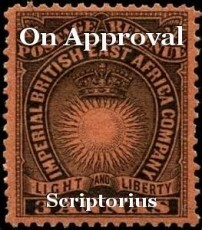 If he was satisfied with the verdict, he would accept the stamps as security against an advance corresponding to their value. A couple of days later, I was informed that a reputable philatelist had assessed the stamps as being worth the local equivalent of fourteen thousand pounds. No doubt I was being stiffed, but I had to accept that. The bank handed over enough money to get me going, and put the album into a safe deposit box, accessible only to its designated staff members until I repay the loan. I’d often had a hankering to own a restaurant, and as it happened there was a local one for sale, the proprietor having decided to retire. The place was pretty run down but I put a lot of work into it, and to augment my efforts, I found a couple of people with experience in the field. They turned out to be worth their weight in gold. The business was soon thriving. It’s still doing very well and I’m about to have the premises extended. Maybe I should be consumed by pangs of conscience about what I did in Leeds. Well, I do have twinges, but I’d like to know how anyone else would have handled that situation. I mean there I was, trying to do a favour for a friend who’d dumped his trouble on me, and if I hadn’t acted decisively, I wouldn’t have got out of that scrape with a whole skin. I haven’t tried to get in touch with Dave Waddington and I’ve no idea what happened between him and Ronnie Bascombe. Frankly I don’t care very much. Between them, they gave me a lot of hassle. I mean, Dave had no compunction about allowing me to put my head into a noose, which Bascombe would have been pleased to pull tight. No doubt I am rationalising my conduct, but I’ve given up trying to judge myself. I’ll leave that to whoever reads this. There was an interesting sequel to my initial business with the bank here. Just over a year after I’d got my loan, thieves broke into the vault and ransacked most of the safe deposit boxes, including the one containing the stamp album. The bank was covered by insurance, so the manager provided me with a new box on the same terms as before, and put into it local currency equal to the sum at which his philatelist contact had originally assessed the stamps. I accepted that as being the fairest outcome, so the equivalent of fourteen thousand pounds will be released to me when I finish repaying the advance, about a year from now. I don’t know whether there’s a record for the number of times an item has been stolen. If there is, that stamp album may be a contender. It was pinched four times, first by Dave Waddington from the old widow, then by Bascombe from Dave, then by me from Bascombe and finally by the bank robbers here. So that’s all there is to the story. I expect to spend the rest of my life where I am now, and in case anyone is wondering, this country doesn’t have an extradition treaty with the UK. And there’s no point in anybody looking for Normal Wilkin. He no longer exists. I’m now known as S . . . well, never mind. © Copyright 2019 Scriptorius. All rights reserved. Sherlock Holmes and the Wings of a Dove.